She lived on the other side of the world. I looked at her through the screen of my MacBook. She smiled. She had a glimmer in her eye. She told me she liked cookies. She told me she didn’t want to like cookies anymore. I smiled knowing full well that by the time we were done working together the smile and glimmer in her eye would be replaced by a look of surprise. 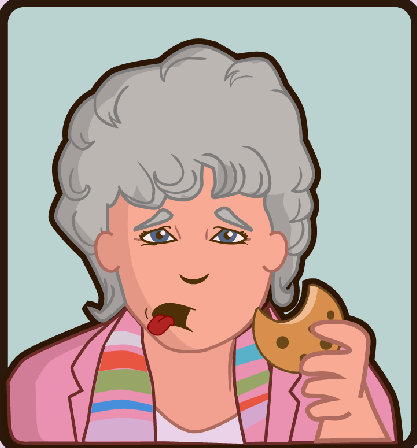 She would find herself UNABLE to eat vanilla cookies anymore. Even if she tried. By reading this article you will learn how to use the same tactics I used with Britta to rewire your brain to stop liking things that are bad for you and to start liking things that are good for you. Me: What happens when you look at these cookies right next to you? Do you want to eat them? Britta: Do I have to (look at them)? Me: Just look at them? What happens? Britta: They need to get away further from me. I would like to put them away so no smell can get out of them. Change is possible. Change can be fun. Change can be rapid. Change can be long lasting. Initially, the realization that this was possible and I could teach someone to hallucinate blew my mind. But later, the idea of hallucinations became normal to me when I realized that we do some form of hallucinating all the time. For example: Fat Tony giggles with delight and notices his mouth water, not because he’s eating a pizza, but because he knows he just ordered a pizza and it’s on his way! In effect, his giggles are being caused by a hallucinated pizza. With Britta, objectively, the composition of the cookies and their smell was exactly the same before and after working with me. But, subjectively, after we were done working together the cookies became repugnant. This was a form of hallucination. But could this hallucination last? Two Week Follow Up: The Cookie Monster Had Been Tamed! Our reality is a hallucination tainted by our past. Information from the world comes in through our five senses. We automatically compare this information with our memories. Finally, we form a projection (that’s tainted by our memories) of the outside world internally. This hallucination is what we call reality. If you had no concept of a restaurant in your mental framework, then if someone took you to a restaurant, you wouldn’t know how to behave. You would go into the kitchen and cook your own food, sit in other peoples assigned tables, and drink their drinks. It would be awesome. That doesn’t happen though. Because your memories guide you. Your memories tell you what things are, what to do and when to do it. A restaurant is to you, what a restaurant is in your memory. Not objectively what restaurant really is. This is where it gets interesting: Memories are changeable. So, the way restaurants are for you is changeable. And thus it all comes together. If I want to teach you how to not like cookies. Or gambling. Or yoga. Or anything else. All I have to do is change your memories of each of these into something that you don’t like. This will taint your projections and change your reality. 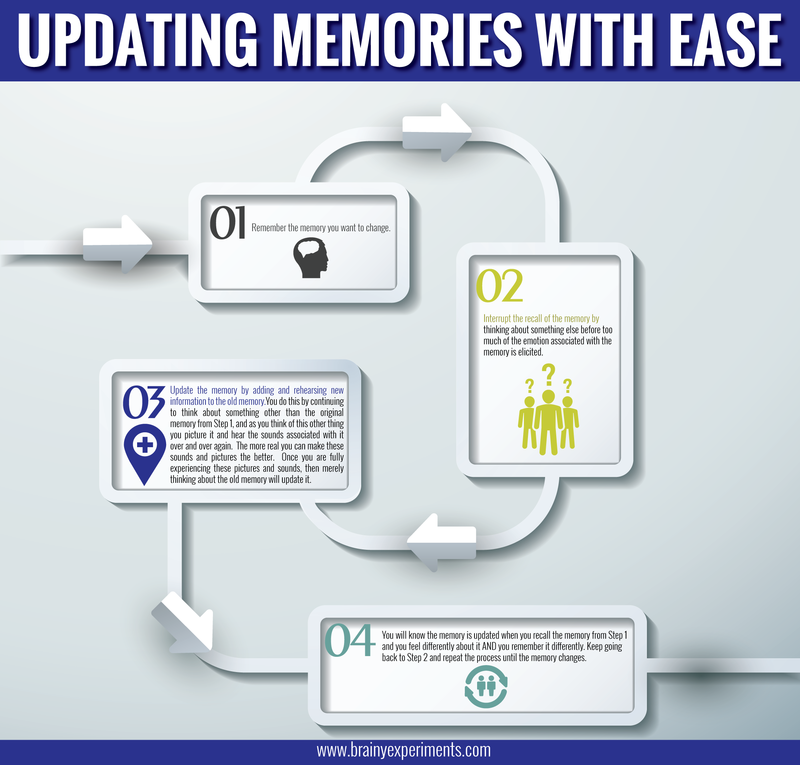 Once the memory is updated. The change sticks with you. The process below is all you need to get the type of results I got with Britta. Nothing else. If you practice and master the steps below, you will be able to change how much you like or dislike anything in your life. I used the steps above with Britta. I had her think of cookies (step 1), then interrupted her (step 2). 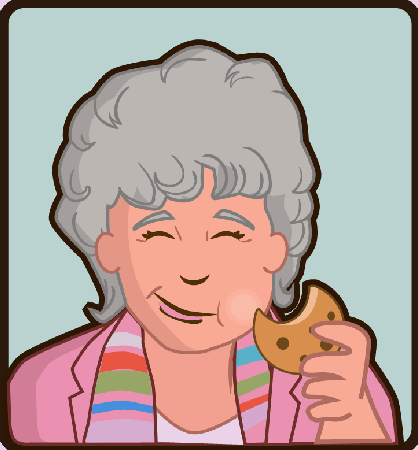 Finally, I had her think of something repulsive (she hallucinated this) and as she did, I had her think of cookies again (step 3). I cycled through these steps over and over again. This updated the memory of cookies. The following audio will take you through the above process, so that you have a deeper first person understanding of how it works and so that you can apply it to your life. Only listen to this recording if you are prepared to go through the process and have a specific thing in mind you want to learn to dislike. The above process is very powerful and can even be used to overcome things you find yourself addicted to. It can also be used creatively to rewire yourself into liking things that will benefit you. If the process doesn’t work, you likely require more personalized assistance. Contact me and I can help. I filmed my work with Britta, and I will be editing the footage and releasing it so that people can replicate what I did with her in their own lives or with their clients. Click here to be notified when it’s ready. 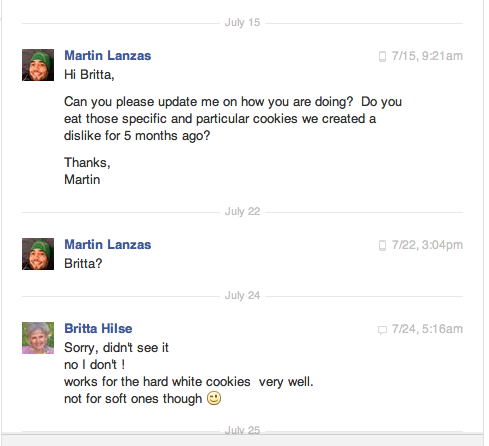 Britta’s response above shows how the change we created had held up 5 months after working with her. The change we created worked for the specific cookies we worked on and didn’t spread to other types of cookies. And then I told her: Darlene, you created those pink sparkling keys in your mind. You made the idea of pink sparkling keys real. She went into deep thought. I could clearly see her making connections inside. I paused. We took a break. We talked about random things. I distracted her. Those keys that you see, you can stop imagining them at any time and discover that they were just a thought you had forgot was a thought. There is no point in trying out what you’ve learned here today, because you would fail anyway. Those thoughts were just as real as the keys…were. Her face shifted as she processed what I said. And then it hit her. She had an aha moment. My words went in deep. Click here to join my mailing list and get access to my latest discoveries in turbocharging your performance. I send out emails extremely infrequently, because coming up with content that is up to my standards takes a lot of time. I make sure that whatever I send out is something that is life changing and will transform your performance.